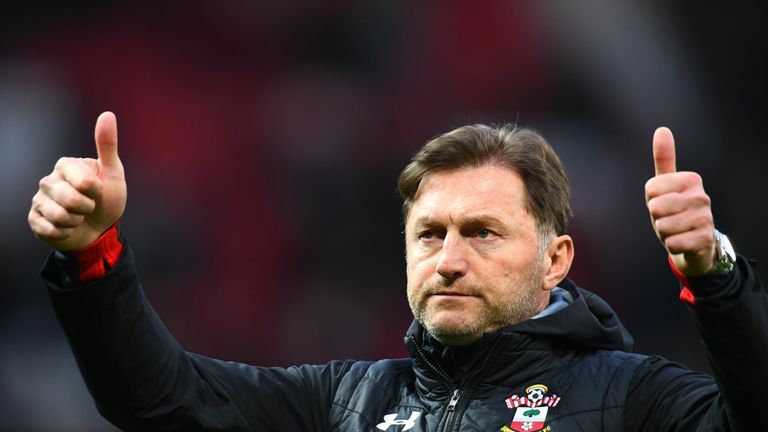 Southampton manager Ralph Hasenhuttl says he is enjoying every day in 'the best league in the world' and loving the atmosphere at the club. Hasenhuttl became the first Austrian manager in the Premier League when he was appointed by the Saints in December to replace Mark Hughes, and he has helped the side improve dramatically. When Hasenhuttl took over, Southampton were level on points with bottom club Fulham. After a loss to Cardiff in his first game in charge, they were winless in 12 Premier League games. However since then, he has turned them around - and they sit 16th in the table, five points clear of the relegation zone and with three wins in their last five. "I enjoy it very much to work in the best league in the world," Hasenhuttl said. "It is a very important step in my development. Follow Thursday's Premier League press conferences and the latest news live ahead of the weekend's action. "I've got a club that gives me the chance to work with a fantastic group, a fantastic area, fantastic training ground and a team that is really open-minded and working very hard. "I enjoy every day here and enjoy the games in our stadium in front of our supporters. "It's an unbelievable atmosphere in the moment at the stadium. Everybody is following us and is in our boat and is rowing with us. "And that is exactly what I want to have in this club, bringing everybody together and creating the energy we need to stay in the league." In the last six games, Southampton have faced four top-six clubs (Arsenal, Manchester United, Tottenham and Liverpool), managing to come away with three points thanks to a win over Spurs. 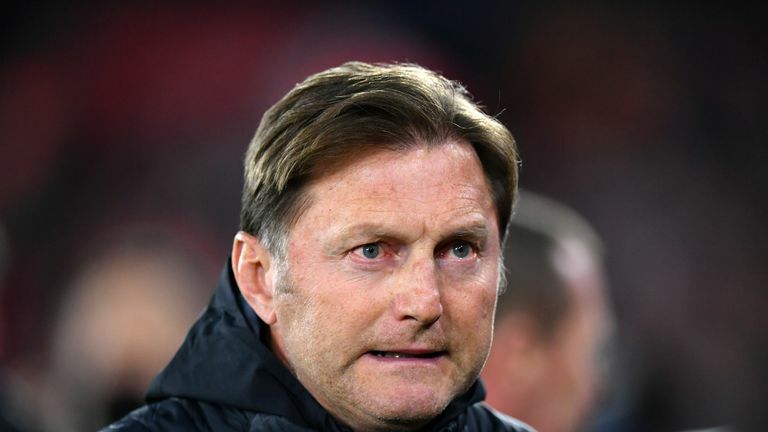 This Saturday, they face eighth-placed Wolves, but Hasenhuttl said it wouldn't matter who they are playing, he still wants to achieve maximum points from his side's last six games. When asked how many points he is targeting in the rest of the season, he said: "18. That would be perfect. But the target is now the weekend. [Wolves] will be a hard nut to crack." "It's a very strong opponent. One of the best organised teams in the league. They have done a fantastic job this year - have beaten a lot of big teams also. "They play a similar shape to what we do and it will be a very interesting game tactically for us. But not an easy game."